We’re experts and the loft space we create for you will integrate seamlessly into your home. It’s not just the quality of the build but also the finishing touches where you’ll notice the difference – a feeling of quality and real style. We’ve created some wonderful spaces with our customers. You can see them here – we’ve even put our own home on. 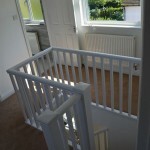 John is one of the few people who can hand make a staircase for you as part of a complete loft conversion. He uses traditional carpentry crafting with a process that hasn’t changed much in a hundred years. 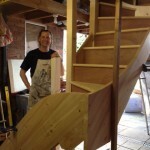 As our business has grown we now also work in partnership with Chris Baker, who is a local staircase making specialist with over 25 years’ experience dedicated to making staircases. You can find out more about Chris on our Team page here. Combined with modern know-how and tools, it means you’ll have a staircase that’s solid and bespoke, fits the space superbly and won’t creak! We can also create fittings such as units or bookcases. Just an initial meeting with John will reassure you that you’re in safe hands. 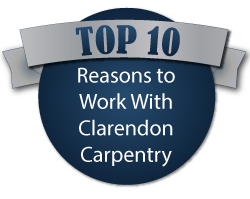 You’ll see his knowledge, passion for his craft and good-natured approachability for yourself. He’s very good at quickly ‘getting’ where you’re coming from on your vision. See what customers say about our work here. Join the club! And we totally understand that. Sometimes, it can be hard to picture exactly what you want. This is one of the areas where our expertise really comes into its own; we find customers are often inspired by the ideas we can suggest to them. Perhaps you’ll also want to amend the design as you see the space developing. We’re always happy to discuss if it’s achievable and within your budget. Rest assured we’re up to date with relevant legislation, for example, whether you’ll need planning permission, whether party wall legislation applies, and more. We pride ourselves on our open approach. So, for example, we’ll make sure there are no hidden costs in your quote. We’ll also give you a realistic timeframe from the start, and finish when we say we’re going to. For less disruption than you’re probably thinking. All our professionals respect the fact they’re in your home, so you won’t have to worry about bad language or ‘loud’ behaviour. We keep mess to a minimum and tidy up when we’ve finished. We’ve also created a very robust system to make sure we don’t leave your home open to the elements overnight so you don’t ever have to worry about having unwanted leaks and definitely no flapping tarpaulin to keep you awake! We pride ourselves on the friendly nature of our whole service – as well as it being totally professional. 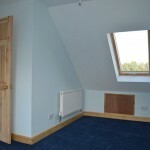 While there’ll be a team of experts working together to create your loft conversion, you don’t have to worry about dealing with anyone except John. He’ll schedule weekly check-in meetings with you, usually on a Friday, to catch up on what’s happening and to discuss small but important details, like the location of electric sockets. Most of our work comes from word of mouth recommendations. John’s well known and respected for his work in the Clarendon Park area. This isn’t an anonymous service with people you’ll never find again. Sometimes, we even invite customers to our house to look at our own loft conversion if they’re stuck for ideas. If you’re a landlord for whom simply maximising space is a priority, you can probably get a cheaper conversion. But if you’re looking for a dream master bedroom with dramatic bi-folding doors, a calm study where you can run your own business or indulge your hobby, a practical family area that you enjoy coming home to or any other kind of living space, talk to us. If you’ve decided it’s time to do something with your loft space, we’re here to help. When you meet us, you’ll very quickly be reassured about us working in your home. And whether you have something clear in mind or just more of a concept, that’s where our experience comes into its own. 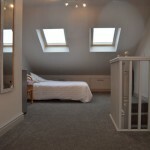 We’re specialists in loft conversions – it’s all we do, so it’s our whole focus and our passion – enabling us to offer you a total loft conversion service with a difference. Contact us today to find out how we can make it work for you.